At Wiltshire Electrics, we carry out a number of testing services for home owners, landlords and business premises. Electrical testing can be split into a few areas. For your home, we can assist with testing sockets, fittings and your wiring. This is great if you have just purchased a property or have never had it done, as there could be underlying issues. We can also test certain items and this is a great service for landlords that are letting fully furnished. 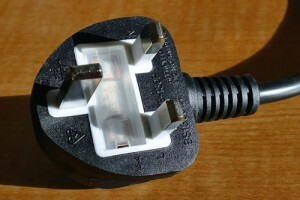 This can also be done for business premises along with PAT testing. Our home is where we are meant to feel safe and secure. When it comes to home electrics however, most have never had it tested. Now we’re not trying to scaremonger people into buying a testing service, it’s just the common fact. We believe electrics and appliances should be regularly tested, for the same reason a car has a MOT each year. We want the peace of mind, rather than uncertainty. This can also be asked by insures to confirm equipment has been PAT tested. We also deal with commercial refurbs/conversions, testing wiring is still in great condition for the new use. If we can help in any way, feel free to get in touch with us. We also carry out a number of testing services for landlords. This can be checking a property when buying or just bought, testing before or during tenancy and maintenance. Similar which business premises, there are certain requirements by law to ensure: That the electrical installation in a rented property is safe when tenants move in and maintained in a safe condition throughout its duration.